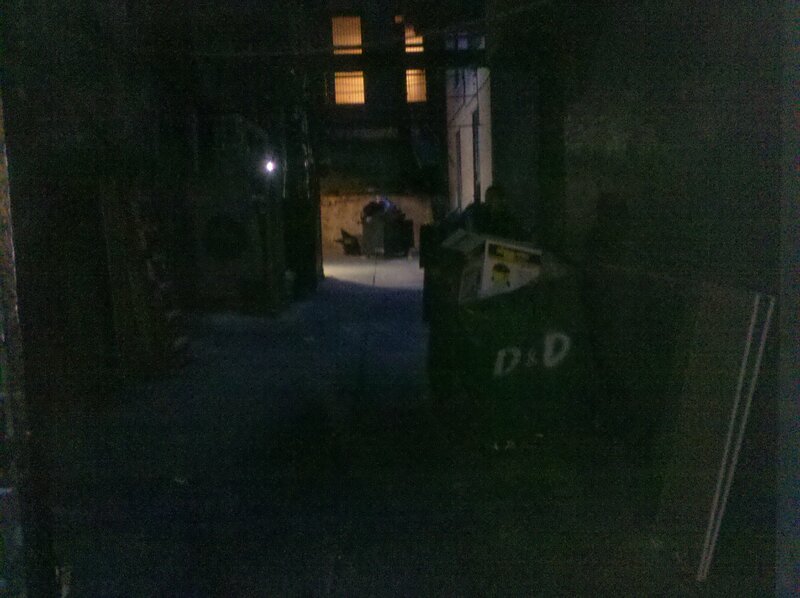 It’s best not to go down any dark alley. Sometimes, attackers will use pre-recorded tapings of babies crying or unseen people yelling out for help to lure their victims into places where they will have the advantage. The police were called and, by the time they arrived, they only found an mp3 player with numerous sounds designed to lure people in to the dark to then become the ones who need saving. 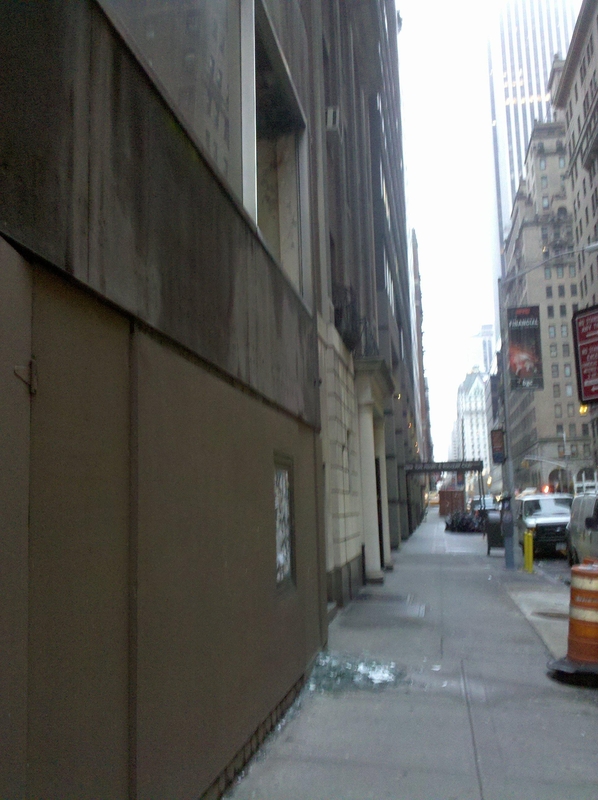 The window on the second floor was smashed out onto the street from inside of the building. The setting below depicts the area after a significant cleanup of the sidewalk area. Whatever object was used to break the window from inside has not been found, but the unit in which this incident occurred is leased by a medical corporation that was reportedly engaged in testing on animals. It is unclear at this point if all of the test subjects are accounted for because, according to the landlord who allowed the police to enter, the laboratory staff have not returned to the property again since the incident and only empty cages were found in the makeshift lab facility in the apartment space.